Greek God of War, Violence, and Destruction. Ares was the Olympian God of war, destruction, and violence, He was known for his insatiable taste towards violence and slaughter, and was seen as a force of savage warfare and blood-lust. He is the son of Zeus and Hera. Ares was unloved by his father and ignored by his preoccupied mother, so he was forced to live under his own guidance at Mount Olympus. He usually was not welcomed or well celebrated by the Greeks, nor the gods, with few exceptions such as Spartans and Amazons. 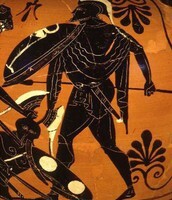 Ares was disliked because wherever he went, he left traces of misfortune and aberration behind. He was usually regarded by feelings of hostility and suspicion, even by his parents. 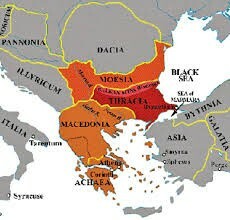 Ares is said to originally be from Thrace, in southeast Europe, a place bordering modern Bulgaria, Greece, and Turkey. Promotion of his worship originally derived from Macedonia and Thebes. Half-sister and rival of Ares. 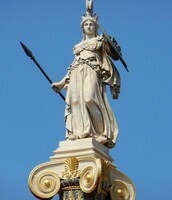 He was often compared with his half-sister Athena who is also associated with war. 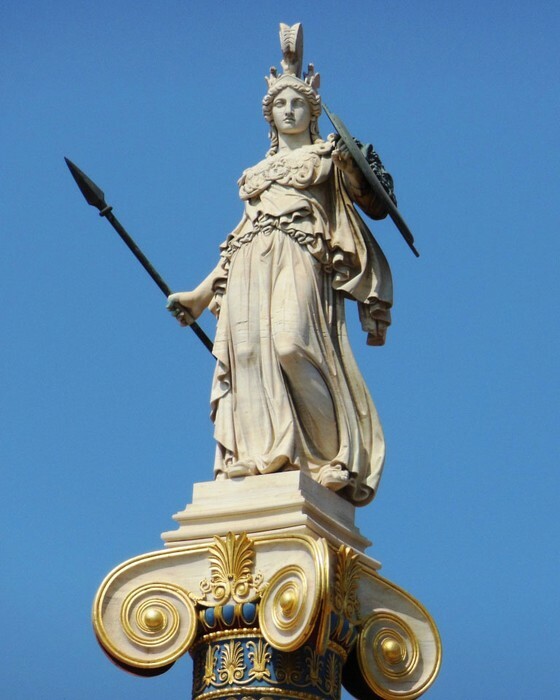 However, while Athena is respected and appreciated for her warfare, strategy, courage and wisdom, Ares is seen as representing the artless side of war that deals with savagery and horror. During his time at Mount Olympus, Ares was involved in adultery with Aphrodite, a wife of the god Hephaestus, the goddess of love and beauty. 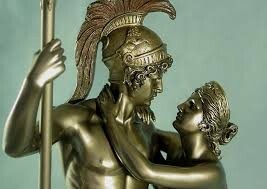 Helios once spied on the couple and told Hephaestus about this affair. Once Hephaestus was aware of his wife’s betrayal he angrily made a special net in order to trap her and Ares. He caught them together in his net and then invited other gods to see them. Because of the actions between Ares and Aphrodite there was continuous tension between the gods, which resulted in Ares’ banishment from Olympus. 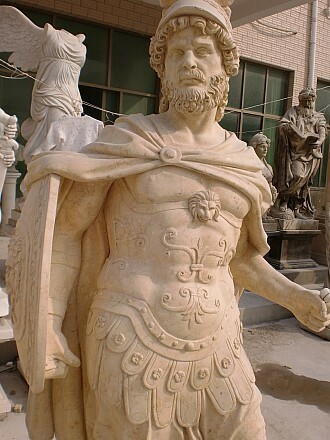 Ares was heavily involved in the Trojan war. Post-war he had promised Hera and Athena that he would fight on the side of the Greeks, although he was swayed into fighting for the Trojans by his consort Aphrodite. 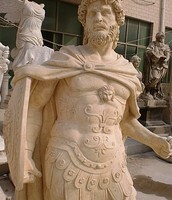 He broke his promise and took allegiance with the Trojans. In Homer’s Iliad it is told that he lead the Trojans to the battlefield along with his and Aphrodite's sons Phobos (“Fear”) and Deimos (“Terror”), and his sister Eris (“Strife”). 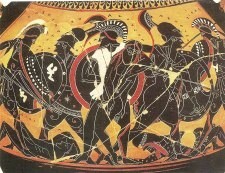 Ares often helped non-Greeks during wars such as the Trojans and Amazons. "Ares." , God of War and Destruction. Web. 07 Nov. 2014. 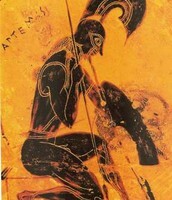 <http://www.greek-gods.org/olympian-gods/ares.php>. Hansen, William. "Ares." World History: Ancient and Medieval Eras. ABC-CLIO, 2014. Web. 8 Nov. 2014. "ARES : Greek God of War | Mythology, W/ Pictures | Roman Mars." 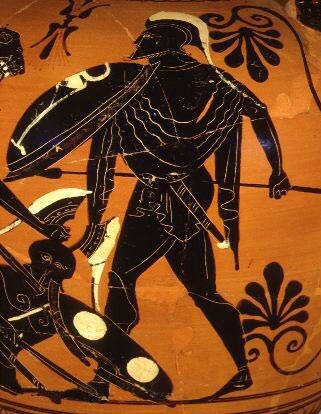 ARES : Greek God of War | Mythology, W/ Pictures | Roman Mars. Web. 08 Nov. 2014. 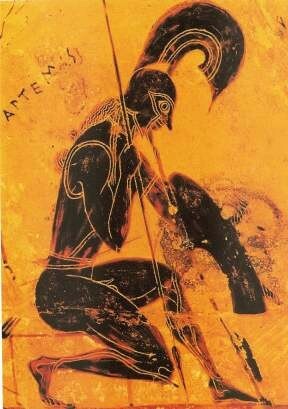 <http://www.theoi.com/Olympios/Ares.html>.